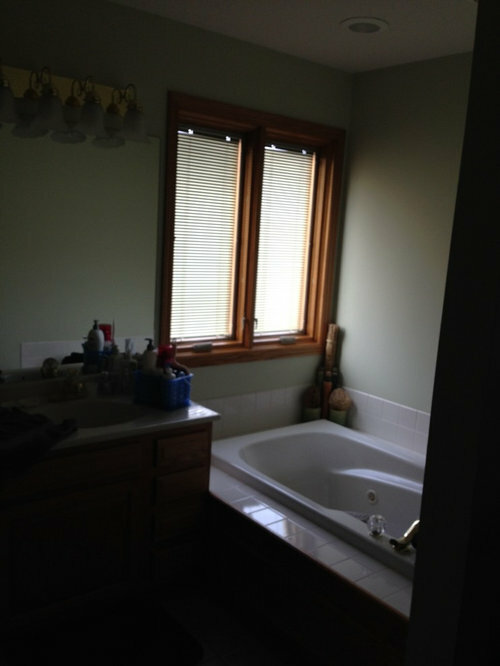 The master bath had a dramatic transformation! Where the shower is now located was a jetted tub that never was used. 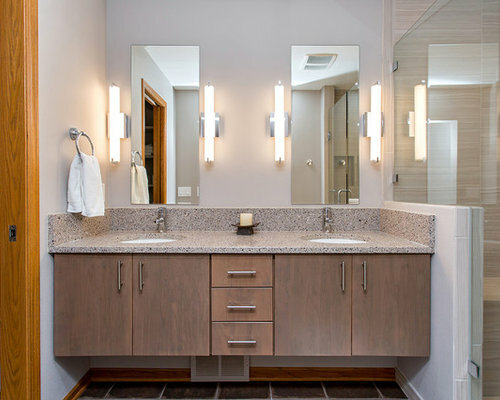 We moved the shower into this space and floated the cabinet and added single mirrors for more individual space. 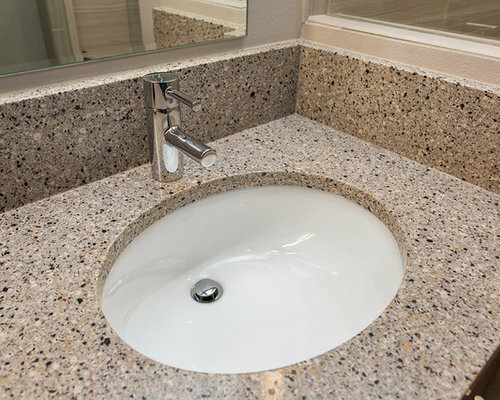 In the master bath, we went a bit more modern - the crisp white undermount sinks with the single lever control keeps the counter top feeling clean and uncluttered. 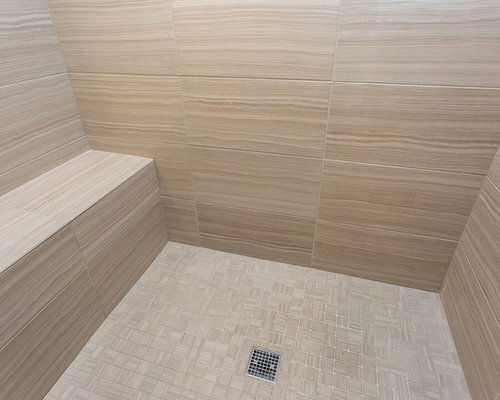 The flow of these ceramic tiles in the master bath shower area are very calming - and look like natural stone. 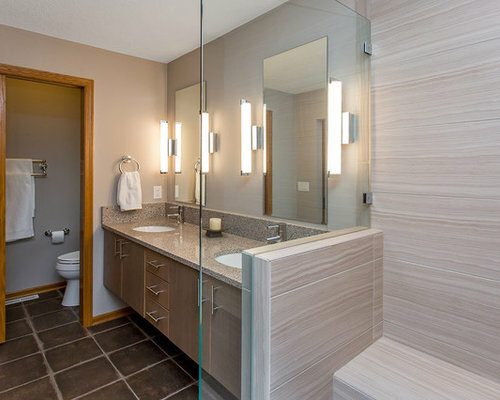 This area was originally a large jetted tub that was never used. 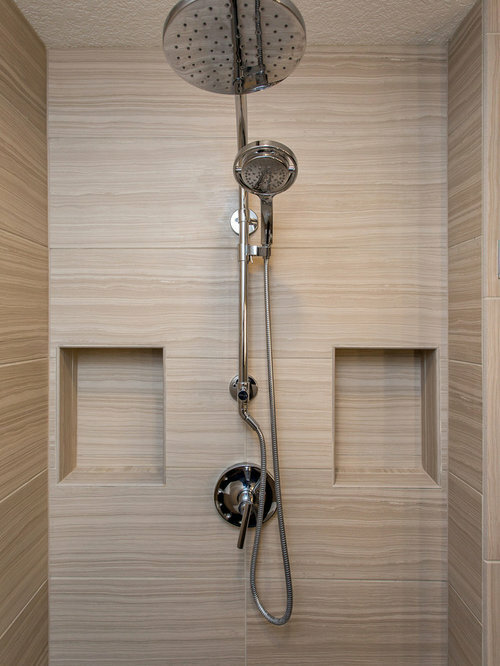 We took the space and made a generous master shower area. His and Hers niches for shampoo, etc and a rain shower head, as well as a handheld shower, were on the top of the remodel list. Wanting to keep the bathroom as open feeling as possible, we created a 1/2 tiled wall into the shower space and the balance is glass. 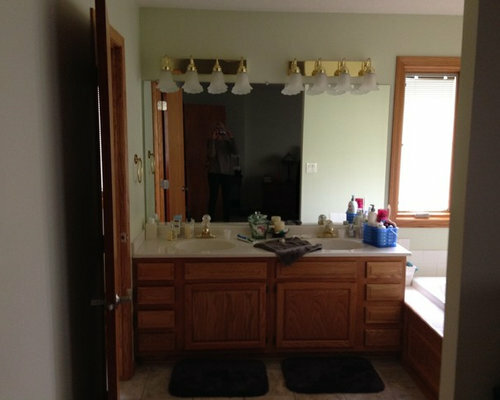 At the sink area, we changed things up by doing individual mirrors to create more personal space. The cabinet is floating, again, to give lightness to the room. 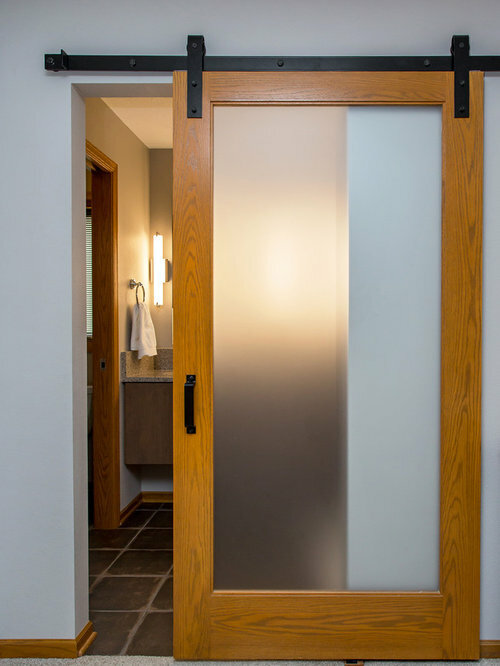 In keeping with the desire to lighten up the space, we replaced the double doors with a translucent barn door. 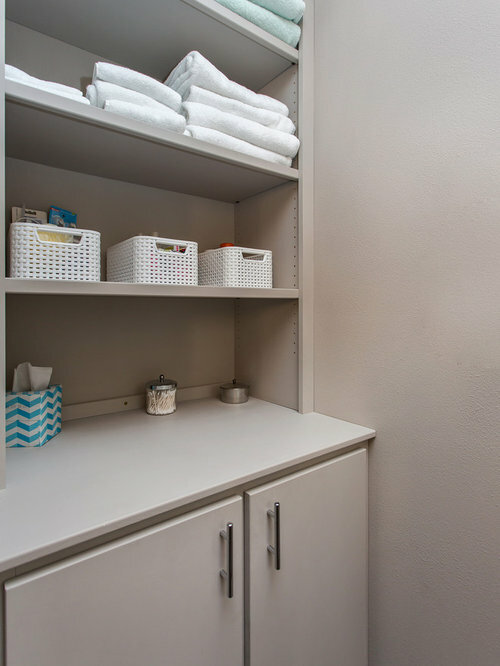 Making the entry to the bathroom allowed us to add some wall space for towel bars and hooks. The sliding door also works much better than the double doors opening out into the room. As you can see, the master bathroom was quite traditional. The overhead light wasn't flattering and the bathtub was never used. While the window was nice, it was always closed. The bath tub took up lots of space and was never used. 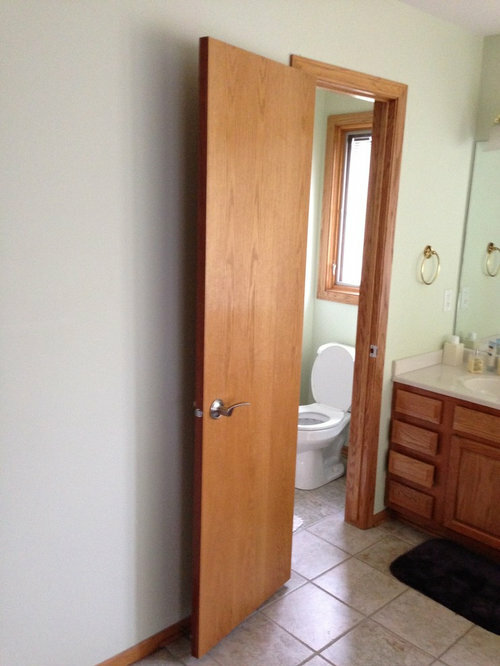 The door opening into the rest of the bathroom took up a lot of space. Replacing it with a pocket door make the room flow better.